Interactions between sedimentation and tectonics are seen on many continental margins. 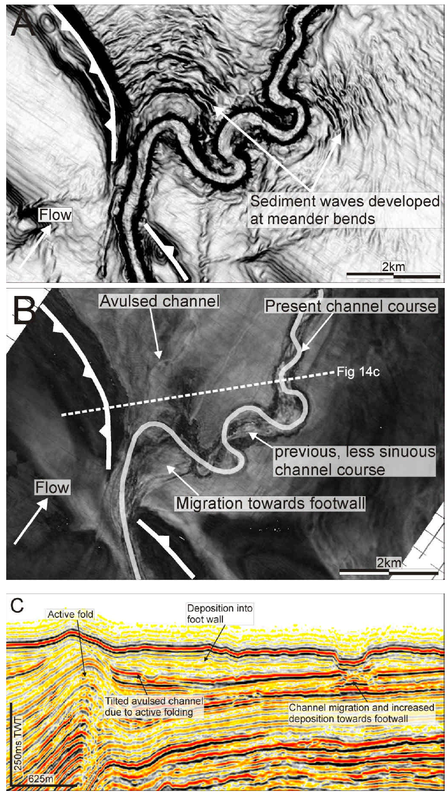 Here, in the Eastern Mediterranean, active thrusts and their associated folds deform the slope, and lead to diversion of deepwater submarine channel-levee systems.Image provided by Ian Clark. One of the research topics under the Shell Geoscience Laboratory is the investigation of interactions between deepwater channels and active structurally controlled relief.